For 2005, the F-250 is Lariat Highline Edition is a four-door up-to-six passenger heavy-duty pickup truck that features a 6.8-liter Triton V10 base engine that produces plenty of horsepower. 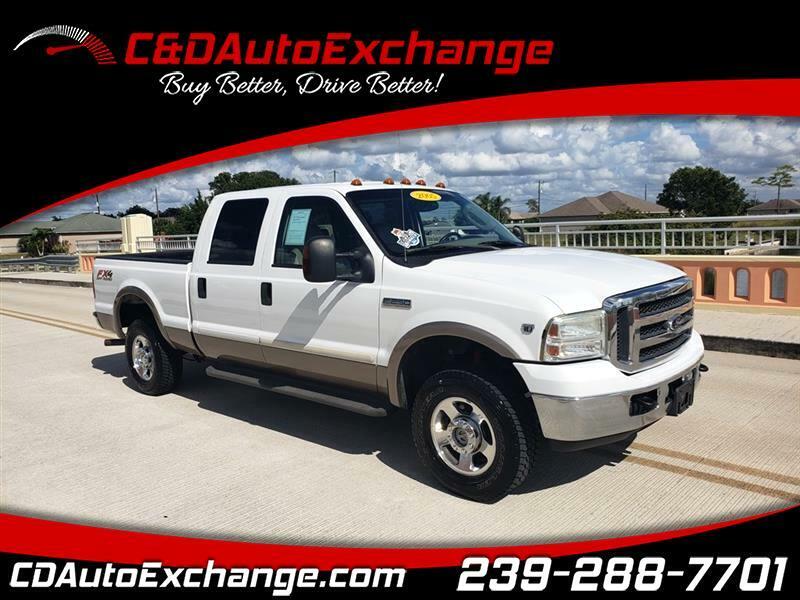 Linked to a five-speed automatic transmission this Ford has it all for the right price. Mechanical Inspection passed and certified. 90 day Limited Powertrain Warranty included. Buy with Confidence. Call 239.288.7701 or 239.573.3600.